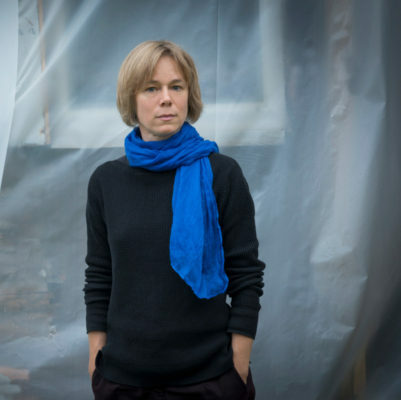 Anja Utler was born in Schwandorf (Germany) in 1973, and currently shuttles between Vienna, where she teaches poetry at the University of Applied Arts, and Regensburg, where she is involved in a research project on the perception of spoken poetry. In 2003 she received her PhD at the University of Regensburg with a dissertation on Russian Modernist poetry. Her poetry collection münden – entzüngeln won the coveted “Leonce-und-Lena-Preis” for Poetry in 2003. For her innovative poetic exploration of political issues such as ecology in her latest book ausgeübt. Eine Kurskorrektur, she was awarded with the “Basler Lyrikpreis” (Basel Poetry Prize) in 2014. In spring 2015, she was German Writer in Residence at Oberlin College, Ohio. Utler’s works explore the impact of different media and modes of perception on the experience of a text: her works brinnen (2006) and jana, vermacht (2009) were both published in print and audio formats; jana, vermacht was also transformed into an installation for an exhibition. Utler’s works have been translated into more than 20 languages.